"It's time for Gary Dolphin to get back behind the mic. It's where he belongs. It's where we need him." Somehow, the story of long-time Iowa radio broadcaster Gary Dolphin being suspended for two games after some of his criticisms of the team (and guard Maishe Dailey in particular) aired on a hot mic has gotten even stranger, with the company that carries Iowa games now asking affiliates not to run a commercial supporting Dolphin. That move was already taking criticism for athletic director Gary Barta’s unnecessary comment that the suspension was not just about those remarks, but also “ongoing tensions that have built up over the past couple of years,” and now it’s facing backlash from supporters of Dolphin. IOWA CITY, Iowa (AP) — Learfield Sports and some of its Iowa affiliates will not air a radio ad supporting suspended Iowa play-by-play broadcaster Gary Dolphin. 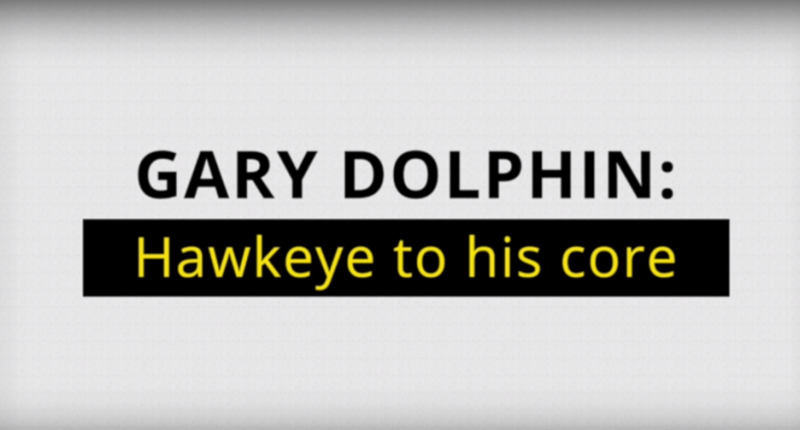 Loyal Hawkeye Fans, Inc. is sponsoring the pro-Dolphin ad that will run on several stations during his two-game suspension. …Hawkeye booster Nick Ryan says he’s behind the pro-Dolphin group and his family’s putting $12,000 into the campaign. …A Learfield representative told a media buyer that it appreciates the “immense passion” for Dolphin but that it’s unable to consider the spot for broadcast. The ad includes play-by-play audio that Learfield says the group doesn’t have permission to use. Ryan says some Learfield affiliates have also declined the ad.